For those of you in Southern California who would like to participate in next week's CIRM board meeting, you will be able to do so via a teleconference call from the offices of the Sherry Lansing Foundation in Los Angeles. Additional background information on matters to be acted on at the meeting that begins Wednesday was posted on the CIRM Web site late yesterday and early today. Still not available to the public is any significant information on the proposed changes in CIRM's $500 million biotech loan program and a proposal for CIRM to get into the clinical trial business. Clinical trials can run into hundreds of millions of dollars, but CIRM is probably going to offer to pay only a portion of the cost of a trial. Also available is information on a $40 million grant concept proposal dealing with “tools and technology.” CIRM said 20 grants could be awarded to “support the inception, early stage development and evaluation for stem cell research applications of innovative tools and technologies that will overcome current roadblocks in translational stem cell research.” The round would include funding for “disease-in-a-dish” models. The grants will be open to both business and academic researchers. Early today, an additional item was added to next week's agenda – the nomination of two scientists as alternate members of the CIRM panel that makes the de facto decisions on grant applications. They are Laurie Jackson-Grusby of Harvard and Maria Grazia Roncarolo of the San Raffaele Scientific Institute in Milan. Next week's meeting will can be heard on an Internet broadcast. However, the broadcast does not allow participation by listeners. The Wednesday broadcast begins at 4:30 p.m. PST. Listeners should go this Website http://65.197.1.15/att/confcast and use conference ID# 141973. The broadcast Thursday begins at 8:30 a.m. PST. Use http://65.197.1.15/att/confcast and conference ID# 141977. The Thursday broadcast includes a presentation by a three Stanford scientists on genetic skin disease . The trio – Alfred Lane, Anthony Oro and Marius Wernig – received a $12 million disease team grant last fall. The CIRM board meeting begins following their presentation. The address of the Lansing Foundation, where listeners can also make comments to the board, can be found on the meeting agenda. The California Stem Cell Report will be covering the sessions live both days and will file stories as warranted. The California stem cell agency has responded to recommendations from a key state panel for more openness, accountability and transparency on the part of CIRM, indicating disagreement with many of the suggestions. On the same day that the committee made its unanimous recommendations, the California Stem Cell Report asked Don Gibbons, CIRM's chief communications officer, for a reaction to the committee's move for more openness. Gibbons did not respond to that query until today. His email followed the posting of the “Stem Cell Plans Shrouded” item on this Web site. Under Prop. 71, which altered the state Constitution and state law, CIRM effectively operates outside of the normal control of nearly all normal state oversight bodies, including the governor and the legislature, which cannot touch the agency's budget, even in the current state budget crisis. Changes in the law concerning CIRM can only be made with a rare, super super majority vote of 70 percent. Changes in constititutional provisions affecting CIRM would require a statewide vote. CIRM's carefully worded announcement said the agency “welcomes” CFAOC input. CIRM said the “broader issues are important.” It defended its processes and rejected some of the recommendations, including the identification of all applicants for public money. Presumably that would include extended public sessions of the panel, but the CIRM statement stopped short of explicitly saying that. With only three business days remaining before directors of the California stem cell agency act on proposals that appear to involve hundreds of millions of dollars in taxpayer funds, CIRM is keeping researchers, biotech firms and the public in the dark about the details and rationale behind the plans. Ironically, the failure in openness comes only shortly after a key state financial oversight committee unanimously urged CIRM to be more transparent and accountable. CIRM's lack of transparency concerning its directors meetings is a perennial problem for the $3 billion organization. It also flies in the face of rhetoric from CIRM chairman, Robert Klein, who repeatedly avows that CIRM adheres to the highest standards of openness and transparency. While the organization posts a bare bones notice well in advance of directors meetings, the agendas consist of little more than cryptic phrases that provide little information about the proposals or their justification. (See here, here and here and here for a related transparency issue.) Sometimes some of the needed information is posted on the CIRM Web site a day or two before a meeting. But sometimes the needed material is never posted at all in advance of a meeting. Even CIRM board members have grumbled at times about the tardiness. CIRM's secrecy runs counter to its efforts to involve the public, researchers and the biotech industry. Business particularly needs time to analyze proposals, develop a well-thought out response and make plans to attend CIRM board meetings, which are scattered around the state. It is not realistic or reasonable to expect biotech executives to drop all their activities to respond to CIRM on a one-day or two-day notice or less, either to attend a board meeting or formulate a written comment to be delivered to CIRM. In December, directors created a subcommittee to improve communications with the public and the media. The action implicitly recognized that CIRM needs to do a better job of selling itself to the public and decision makers in Sacramento if it is to receive continued funding after its $3 billion runs out ($1 billion is already committed). Ironically details and justification for the stepped-up communications effort were not posted on the CIRM Web site until the day of the CIRM board meeting. To CIRM's credit, it does provide significant access to some aspects of its business. Among other things, it broadcasts its directors meetings on the Internet and provides transcripts online a couple of weeks after the meetings. But those are after the fact. The public must be informed ahead of action in order to comment intelligently. That also should include a notification on the CIRM home page of an upcoming directors meeting with some clue to the issues being considered – something that has not happened for a year or more. The directors' meetings are the most important public actions at CIRM. They deserve to be highlighted by the agency. The issues involving CIRM's transparency and openness go beyond good management and speak directly to the California's constitutional guarantee of a “broadly construed” right of public access to “the people's business.” But importantly for CIRM, improved openness would not only enhance its communications with the public, but would also improve relations with its scientific and business constituents – not to mention legislators. The California state panel charged with overseeing financial practices at the state's $3 billion stem cell research agency today urged it to improve its accountability and make its performance more open to the public. CIRM had no immediate comment on today's action. In a news release, the controller's office said the Citizens Financial Accountability Oversight Committee voted unanimously to endorse recommendations last year by the Little Hoover Commission, the state's good government agency, to make CIRM's practices more open to the public. The financial accountability committee, created by Prop. 71, also voted to post its members' statements of economic interest and travel expenses on both the controller's and CIRM's Web site. The committee urged CIRM to post the same information for its directors and staff. The vote on the Little Hoover recommendations was unanimous, with Chiang, Daniel Hollander, Loren Lipson, Gurbinder Sadana and Jim Lott in favor. Daniel Brunner was absent. The vote on posting statements of economic interests was 4-1 with Hollander, a recent appointee to the panel by CIRM Chairman Robert Klein, dissenting. The California stem cell agency has "overcome startup challenges," drawn scientists to the Golden State, and its actions will have a "significant" impact on commercial and academic biotech research in the United States, according to an article in the American Journal of Public Health. "Measuring the CIRM’s success by its highly ambitious goals for research and cures is a challenge for the future." "This group (the report's two authors) started out 4 years ago as complete disbelievers in the ability of this agency to fulfill its mission. Our performance has clearly convinced them we will have (and already have had) an effect on the future of biomedical research and its funding structures." CIRM issued a release that said the article demonstrated that "CIRM has been successful in carrying out its core mission of accelerating research, creating jobs and fostering economic growth in California." The CIRM announcement quoted Klein as saying, “The NSF (National Science Foundation) study provided strong validation of the major research jobs and medical leadership future of California, driven by Proposition 71 funding,"
The study's authors are associated with the Institute for Health and Aging at UC San Francisco. Adelson is chief of the Integrating Medicine and Public Health Program. 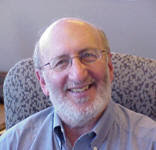 Weinberg is associate adjunct professor, Institute for Health and Aging and adjunct professor and director, Law, Science and Health Policy Coordinator, Hastings College of Law. Their article was funded by the NSF and published in the January 2010 edition of the American Journal of Public Health. UC San Francisco has received $103 million from CIRM. A footnote on the article noted that UCSF has received CIRM cash. It also said Adelson and Weinberg received no funds from the stem cell agency. "It is difficult to find anything quite like the California stem cell endeavor—the rationale for its origin, its enabling ballot initiative, the extent of state funding for research, and the public’s vigorous engagement with the process are all unprecedented. We found that the CIRM, after a difficult beginning, and despite institutional turbulence, economic uncertainty, and constant public scrutiny, has become well-established and has both maintained and strengthened its core mission, partially aided by the pressures and criticism." "Since the initiative passed, continuous criticism and scrutiny has come from sources opposed not to stem cell research itself but rather to other aspects of the endeavor. Some critics raised concerns about the protection of egg donors (for somatic cell nuclear transfer), others about limited attention to donors’ physical health and potential exploitation because of their economic status. Strong objections have been raised to the manipulation and commercialization of human genes." "Perhaps the closest attention to the conduct of the CIRM’s affairs has been paid by individuals and groups concerned about the CIRM’s potential conflicts of interest and lack of transparency. Watchdogs and consumer advocates have kept steady pressure on the CIRM to maintain transparency in spending taxpayers’ funds, including awarding of research grants, and to be publicly accountable for adherence to ethical and other standards. The CIRM, which may only fund research to be conducted in California, also had to address several potential conflicts of interest in funding decisions. The relatively narrow composition and size of the ICOC(the CIRM board of directors), and the limited number of institutions qualified to conduct CIRM-funded research, guarantee a large overlap among those seeking and those awarding funds. Many potential grantee institutions have representatives on the ICOC, because the initiative requires the appointment of representatives from 5 University of California campuses and from other California research institutions." "In its short history, the CIRM has taken on a vigorous life of its own. It is apparent that the shift of a major focus for stem cell research to California will have a significant effect into the future on the geographic distribution of biological science and biotechnology infrastructure in the United States; on the location of university, biotechnology, and pharmaceutical research and start-up firms; and on the investment of venture capital. Evidence for this is the $300 million the CIRM has invested in stem cell facilities, already leveraged to more than $1 billion in linked donations. The CIRM has also directly stimulated the formation of a consortium of otherwise separate institutions to meld resources and facilities in San Diego, and has begun to develop international collaborative partners. California is host to a steadily growing cadre of world-class scientists, dedicated state-of-the-art facilities, training programs, and support programs, such as a large-animal facility for the testing and development of drugs to facilitate the translational pathway leading from basic stem cell research findings in the laboratory to treatments and cures." Directors of the California stem cell agency meet in San Francisco Feb. 3-4 to take up a proposal to begin funding enormously expensive clinical trials in some form or another. No details are available yet on just what is being proposed, but clinical trials can run into hundreds of millions of dollars. And there is no assurance that a viable product will result. Only one out of five drugs that enter human testing make it to market, according to one estimate. CIRM has already approved $1 billion in grants and loans, leaving $2 billion until its funding capacity runs out. “...to support clinical trials that would be expected to include partnerships with biotechnology and pharmaceutical companies, private investment, and other sources of financial support that are appropriate. This is an area of developmental responsibility for the vice president of R&D(yet to be hired). CIRM expects that its contributions would be proportionally smaller than other contributions from companies and other financial institutions but would remain meaningful and would ensure reasonable patient access to the new therapeutics that are developed." Also on tap are unspecified, proposed changes in CIRM's $500 million biotech loan program, which anticipates default rates as high as 50 percent. The financial affairs of the $3 billion California stem cell agency will come under scrutiny next Tuesday at a meeting in Los Angeles headed by California's chief fiscal officer. The occasion is a session of the Citizens Financial Accountability Oversight Committee, which was created by Prop. 71. By law, the six-member board is chaired by the state controller, John Chiang. Proposed changes in the $500 million biotech loan program offered by California's stem cell research agency will come before its directors at a meeting early tomorrow morning. Interested parties can listen in and comment at a variety of locations in California and one at the Charles Hotel in Cambridge, Mass., a state that has a robust biotech community. CIRM has posted the proposed changes on its website, but the material does not offer an explanation or justification for the revisions. They seem to have grown out of meeting in December of the Loan Task Force and are coming before the directors' Finance Subcommittee at 7:30 a.m.(10:30 a.m. in Massachusetts). The 102-page transcript of the task force meeting can be found here. In addition to the Charles Hotel, the public can take part in the teleconference session at locations in Palo Alto, Irvine, Menlo Park, San Diego, Pleasanton, Hillsborough, Berkeley and San Francisco. Specific addresses can be found on the agenda. The California stem cell agency is reporting that one out of three grants is behind schedule in its $1 billion-plus stem cell lab construction program. The timetable on the 12 projects is important by CIRM's own measure. Two years ago, CIRM ballyhooed the lab construction program because of its requirement for expedited construction with completion of the labs by May of this year. Applications for funding were also scored highly for their “urgency,” with 20 out of 100 points being possibly awarded in that category. That said, few foresaw the unusual economic events of the last 18 months. However, most of additional needed financing should have been secured by the time economy nosedived. Programs not up to snuff are located at UC campuses at Santa Cruz and Merced. Also behind is the $163 million Sanford Consortium facility involving UC San Diego, Salk, Scripps and Burnham. 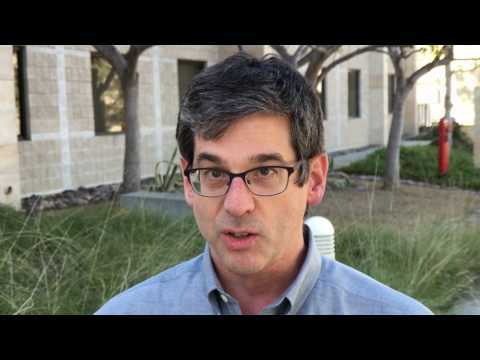 The fourth troubled effort is at the Buck Institute in Novato in Northern California. One could argue that others are behind schedule as well since they will not be completed by May, but instead one or two months later. CIRM's press release on subject was a bit unusual. Normally the agency does not beat the drum about meetings of its working groups, where the official status report was discussed. But in this case, the lab construction program is one of CIRM's signature efforts. The press release drew little attention. We found only two stories in a Google search: one about Buck by Ron Leuty in the San Francisco Business Times and the other about Sanford by Heather Chambers in the San Diego Business Journal. One old rule in business holds that if you succeed 80 percent of the time, that is as good as you can expect. By that measure, CIRM's facilities program holds up reasonably well. But one of CIRM's foibles involves excessive rhetoric, such as bald statements that the facilities would be finished in two years. A couple of days ago, we stepped on land for the first time in a month. 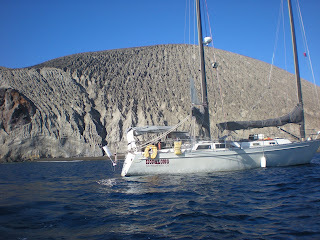 The occasion was our arrival aboard our sailboat (and only home) in Barra de Navidad after two long ocean passages and visit to two islands in the Revillagigedo Archipelago about 350 miles west of mainland Mexico. We are now catching up on email and news and information on California's stem cell agency. We expect to post some fresh items soon. If any readers would like to call special attention to particular developments or have questions they would like answered, please email your comments and queries to djensen@californiastemcellreport.com.